We Make Toilet Hire Simple! we deliver & we collect. Looking For Toilet Block Hire? We deliver cost effective hire services. 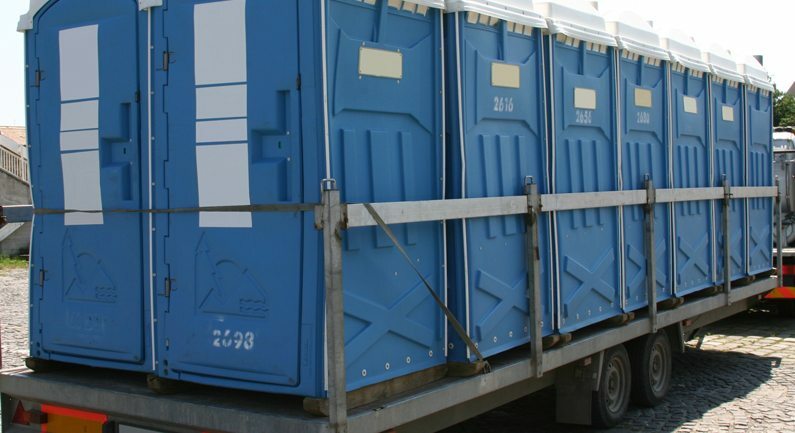 We have any type of facility you may need – from construction toilets to luxury toilet hire. So it doesn’t matter whether you’re working on a large commercial job, or a small domestic one. We can sort you out! Liverpool is located in the North West of England and is most famous for the Albert Docks, the football culture and the music culture – it was the hometown of the Beatles, after all. There are also quite a lot of greenspace and parks around the city such as Merseyside’s Victorian Parks. In May 2014, a regeneration project, costing around £1.5billion was announced to improve certain areas of Liverpool. The plans included building a sports complex with a skateboard park as well as well as more residential areas and restaurants. It also consisted of building a hotel, a new cinema and more shops. On large construction sites like these, there are a set amount of toilets that are required in order for the site to be lawful and comply with the regulations and standards as set by the HSE. Here at TopToilets, we have an expert and committed team who make sure everything is always delivered on time so you always meet your duty of care and your workers are well looked after. Would you like more information? Fill in our quick 1-minute form online or give our team a call on 0844 272 3070 today for a chat. Warrington is a town in the Cheshire area of England. It is located on the banks of the River Mersey and is roughly 20 miles away from the city centre of Liverpool. It has a population of 203,000 people and is well known for homing the Warrington Town Hall, Parr Hall and the St Oswald’s Church which is a Grade I listed medieval church. In 2016, the council announced a £107million regeneration project for the town centre. It was said to make the areas more ‘bold and dynamic’ and include a new cinema, a market hall, restaurants, office blocks, retail units, a multi-storey car park and cosmetic work throughout. TopToilets have been working on construction sites, such as this one, since 2003 and we have been the number one choice for portable toilet and welfare hire. We have specific construction toilet hire, but we also have luxury toilet hire, shower unit hire and many more. This industrial town in the county of Cheshire has a population of 60,000 people and is home to a number of listed buildings such as St. Luke’s church. In summer 2016, plans were announced for 600 potential new homes in the town. This plan also included regeneration to the Widnes Waterfront, retail space, offices and a new pub. The aim is to attract more visitors to the area and also bring in more residents, therefore boosting the town’s economy. 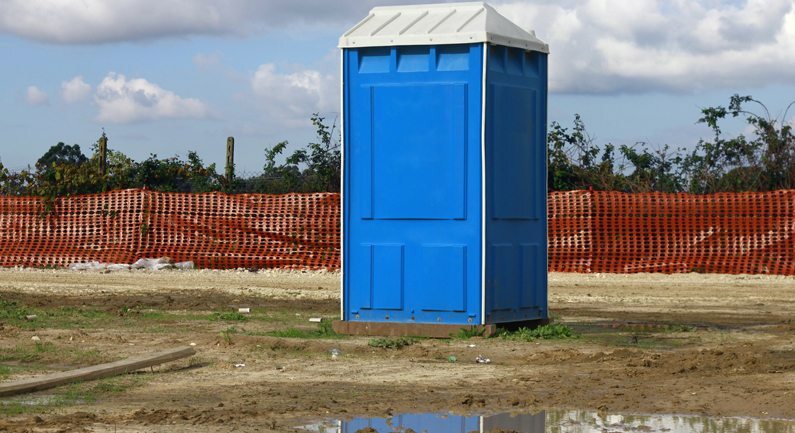 Here at TopToilets, we can make sure that, on construction sites like this, all of your portable welfare facilities are delivered on time to make sure you comply with your duty of care. Our team thrive off giving the best customer service and making your job run smoothly. This historic, walled city is located on the River Dee and is close to the border of Wales. It is home to many famous landmarks, such as Chester Castle and the shopping district, which attracts visitors all over with the country with the historic, Victorian buildings. Chester is home to many outdoor events, such as the Chester Races and the Chester Folk Festival. Thousands of visitors attend these annual events, meaning there can be a high demand on portable welfare facilities. That’s where TopToilets come in. We are a nationwide hire company and have depots all over the UK, meaning all of our portable toilets have high availability. So if you need eight toilets, or eight hundred toilets – it’s not a problem for us! There’s never a job too big, or small and we can make sure everything is delivered on time and that everything runs smoothly. That’s why we’re the number one choice for portable toilet hire in, not just Chester, but the entire of the UK. Birkenhead has a population of 89,000 people and is in the Metropolitan Borough of Wirral in Merseyside. It is well known for Birkenhead Park which was the first publicly funded park in the whole of Britain. In 2013, news arose about a construction project in Birkenhead which was named ‘Wirral Waters’ and began in 2006. It had the aim of boosting the economy, bringing in new business and tourists, and would work on the town’s overall aesthetic. TopToilets have been helping out on large sites, like this one, for years and can provide everything from construction toilets, shower units, urinal hire and everything in between. We also work closely with some of the best in the business meaning we can give you the best prices on any welfare unit and provide our regular customers with discounts. Excellent customer service, reliability and low prices? What more could you ask for? St. Helens is a large town in Merseyside and is well known for the coal mining industry, the glassmaking, copper smelting and brewing. It has a population of 103,000 people and is home to Sherdley Park which features a petting zoo, and there are also many other parks and greenspaces throughout the town. Big plans have been made for St. Helens in order to bring in more tourism and visitors, such as the creation of the Summer Streets Carnival from the St Mary’s Market. When organising a large event, such as this, especially if the venue or location is used for other events or businesses, then the area ought to be taken care of properly. 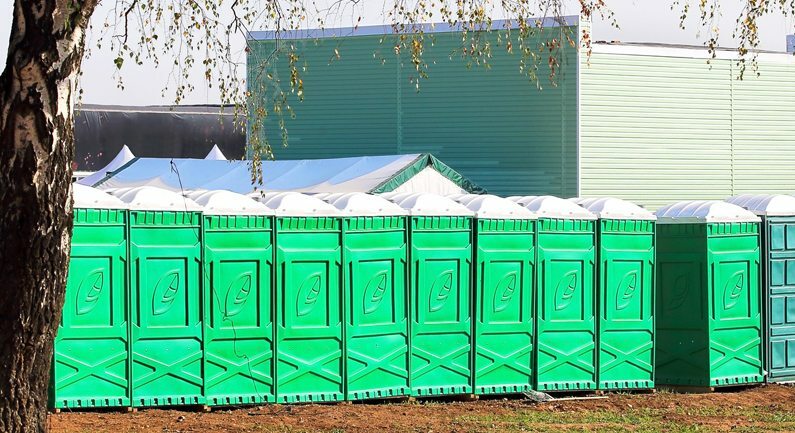 There is a duty of care that comes with managing a large event or festival, and there are a set amount of portable toilets that need to be present. This completely depends on how many people are attending the event, how long it will last and if the event will include the consumption of alcohol. 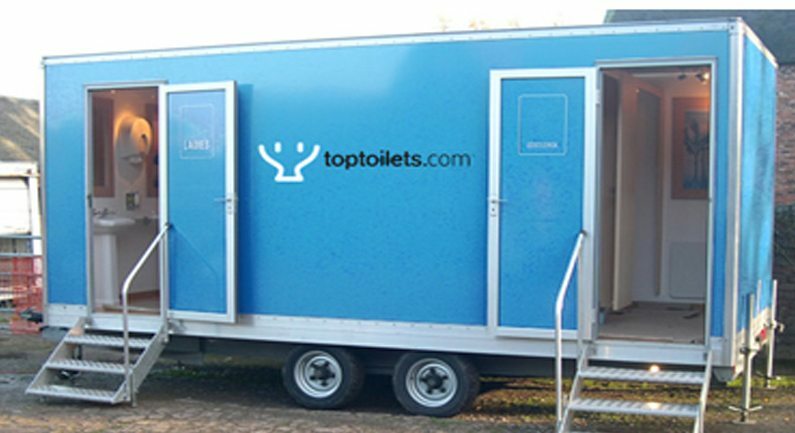 Here at TopToilets, we have a wide range of welfare facilities and high availability on them. Our job is to make your job easier and we will take care of your portable toilet and welfare hire for you so you can focus on the job at hand. That’s why we’re the number one choice! Interested? Fill in our 1-minute form online for a quick quote or give our friendly team a call today on 0844 272 3070 for instant expert advice. Being stuck without water is a nightmare. If you’re on a construction site or in the middle of a field for an event – it’s even worse! That’s where you need a water bowser. Whether your event is on a large scale, or not, in order for it to be legal and comply with the health and safety standards, there has to be washing facilities available. 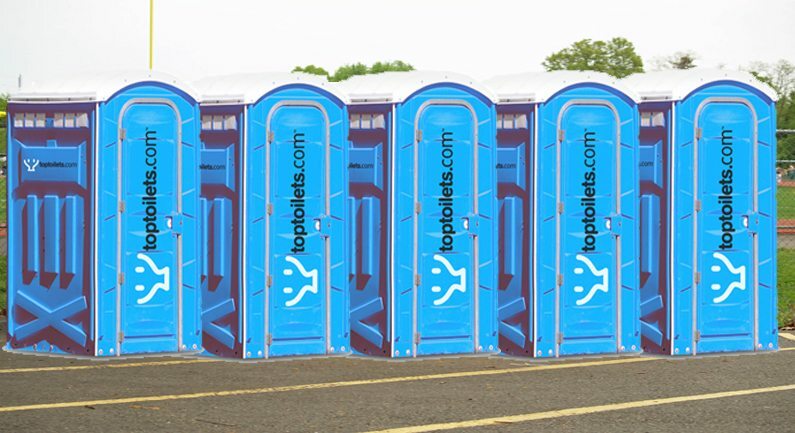 Here at Top Toilets, we want to make sure that your portable toilets are always clean and ready to use. That’s why we offer a full range of toilet servicing when you hire with us. Bellydancer Amenities for Portable Loo Hire, Cardiff? Just saw this picture and thought that if we offered a free bellydancer with each portable loo hire, Cardiff, then we might be able to sell more. Might get a bit crowded though. Here is a video from one of our customers who asked about our portable toilet hire, Kent. He was so impressed with its flushing mechanism, he videoed his appreciation to us. Check it out for youself. Portable Loo Inverness: Our New Range!